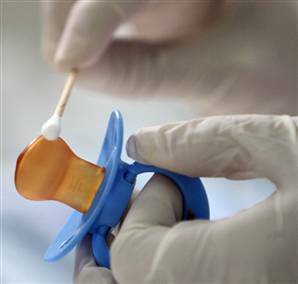 In America you can now walk into a drugstore and pick up a DNA paternity test. Identigene is currently is the only company that sells these tests in stores and claims that their availability is good news for customers. The pharmacy tests seem to be becoming more popular than online. It seems that people prefer to go to a pharmacy and pay cash so they don’t have to use their credit card online. The DNA-testing technology is expensive. These tests currently cost about $150 for the basic ones and a huge $400 for the version that will stand up in court. It usually takes three to five business days to receive the results. One question that people always ask is how accurate the paternity test results are. we’ll, No test is ever 100% accurate. There are two results involved in a paternity test, the first test is called the exclusion test. This test excludes a man from being the father of a child. This means that in the paternity test the DNA of the father did not sufficiently match the DNA of the child. The results of this test is as close as you can get to being 100% accurate. Inclusive paternity test results refer to the likelihood that someone is the child’s father. These test results should prove at least 99%, who the child’s father is. In conclusion, although paternity tests cant be 100% accurate all of the time, they are the most accurate way to determine who the father of a child is. Accuracy is obtained by testing a larger number of loci and good DNA testing labs usually test around 16. Peaches Prevent Breast Cancer in Elder Age!